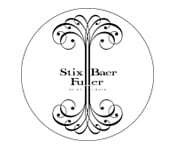 Stix, Baer and Fuller (sometimes called “Stix,” SBF, or the Grand Leader) was a department store chain in St. Louis, Missouri that operated from 1892 to 1984. The central downtown store was located on the north side of Washington Avenue between Sixth and Seventh street. In 1966 the company was purchased by Associated Dry Goods (ADG) and eventually expanded into the Kansas City market. Unable to compete against Famous-Barr, ADG sold the 13-store division in 1984 to Dillard’s, which also rebranded the stores to the Dillard’s name.